So, you're ready to start keeping a dream journal - but you might be unsure what types of things you should write down. 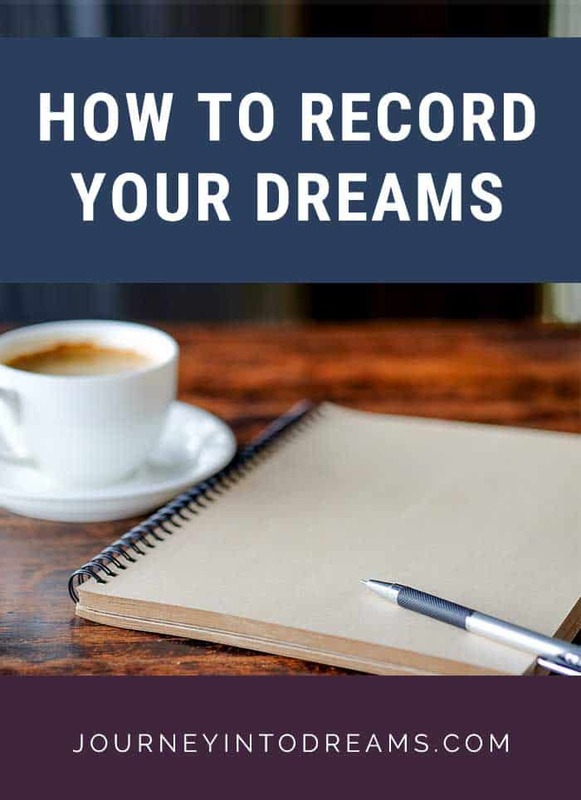 If you're not sure of where to start in writing down your dreams, this post will give you some ideas for how to record your dreams while journaling. Why Record and Write Dreams Down in a Dream Journal? You will be more aware and mindful of the feelings and sensations you felt in the dream. You will have a more detailed account of the dream, which will help you have a more accurate interpretation. It will help you get in the practice of being able to remember your dreams better. When we first wake up remembering a dream, it's important that we write it down as soon as possible while the dream is still fresh in our memory. Doing this will help us to later remember it and we can come back to it when we have time to interpret its meaning. You'll also be able to later look back through all of the dreams you've written down to see if there are any recurring patterns. While there is really no "wrong" way of writing down dreams, as writing anything is better than nothing at all, there are a few tips for dream journaling that can help make it a lot easier! 1. Don't worry about writing in sequential order of the dream. Write in what order you remember things. You can later go back and rewrite the dream chronologically if you'd like. What matters most is that you capture your thoughts as quickly as you can so you remember as many details as possible. 2. Don't try to think what things mean or analyze the dream while writing. Just write!!!! This is part of being mindful - you don't want to be aware of anything except the memories of what happened in the dream. 3. Use detailed language: Colors, textures, moods, emotions, feelings, thoughts. If need be, skip the details at first and then later add them in after you have a chance to make sure you didn't leave anything else that might be important out. 5. Don't worry about writing in complete sentences, grammar or spelling..write in shorthand or notes if necessary. You can always rewrite the dream later to make sense! 6. Write down any feelings & emotions during the dream. You will want to take note of these things as they will provide much insight later during the interpretation techniques you will learn throughout this workshop. 7. Write while the dream is fresh in your memory. You think you will remember it later - however it doesn't always work that way! Try to get in the habit of giving yourself 5-10 minutes each morning after you wake up to quickly journal dreams. 9. REMEMBER: It's better to write 2 sentences than nothing and forget the whole thing later. If you can't remember all the details that's okay. You may be triggered later during the day to be reminded of the dream. 10. Take note of people, places, and objects - these often are the key elements used in determining the meaning of a dream. Date the entry – this will be helpful later when looking through patterns and recurring themes and how they relate to waking life. Give the dream a title: Often times a title for your dream will tell you just as much about the dream as the details and symbols will! It also helps you with remembering better. Take Notes: What events are going on in your life? How has your mood been the past few days? Taking notes on what is happening in your waking life can help you recognize patterns in your dreams. Draw Pictures: Sometimes drawing pictures will help with better dream recall, especially if you've dreamed of an invention or a particular scene. Illustrating your dreams can help you better understand what they mean when you visualize them, especially if you are a visual person. Doing these things will make it much easier for you to interpret your dreams later. It takes some practice, but once you make it a habit and part of your daily routine, you will find that you are able to do this quickly in just a few minutes each morning. With some practice, writing down your dreams in a journal can be very helpful for understanding what your dreams mean. Making it a regular habit when you wake up each day can give you not only a healthy morning routine to follow, but give you a fresh perspective for starting each day. Do you have any questions about writing down your dreams or tips on how to record dreams you would like to share? How do you write down your dreams in a journal? Share your thoughts about dream journaling below!